It is my great privilege to welcome you to visit Beautiful Bangladesh! This is Syed Mahbubul Islam, however most people call me Bulu. I am CEO and travel host for Riverain Tour. 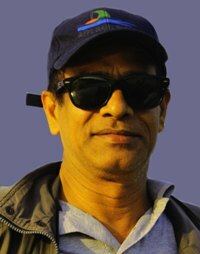 As well as a Former Director Tour Operators’ Association of Bangladesh TOAB, President Tourist Guide Association of Bangladesh TGAB. As a responsible host, very important for us to do care of your health, security, comfort and food as well valued time. Riverain Tour’s selects world class boutique hotels in Dhaka’s diplomatic area or a 5-star hotel as guest requirements. These accommodations are use by foreign embassies and their delegates, international NGO’s. All the selective accommodation is well acquainted with the standards required by international travelers. You will have a wide variety of food choices in Dhaka as well major city’s in Bangladesh. The selections of restaurants we prefer offer many choices of cuisine of Bangladeshi, Indian, Chinese, Japanese, Korean, European/continental and regional cuisine. In Dhaka you can also find international food chains. All restaurants recommended are hygienic and uses pure cooking techniques. While traveling outside the capital city, we recommend food from the best restaurant of that town. However, in many remote areas, we are unable to provide a proper food chain according to your desire. But, we will try our best to provide less spicy and hygienic food. Travel with Riverain Tour will offer memories and a thoroughly enjoyable adventure. While venturing outside the capital city, travelers are guided by regional experts who know their area back-to-front and inside-out. You will marvel at their knowledge and enjoy a rare experience of meeting with local communities, visiting and assisting in their schools, participating in daily activities and enjoying cultural programs that feature traditional song and dance. As your host, I will try my best to accompany you / yours during travel in Bangladesh.